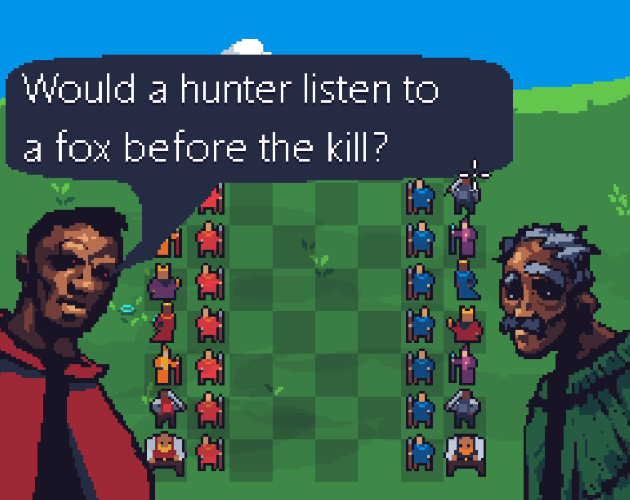 Do you find chess too boring ? Perhaps it's you that's boring! Finding it hard to win ? The trick is multitasking, don't wait, just click. Download the jar and double click on it to run the game. I think the concept is innovative but the game didn't seem to be working for me. 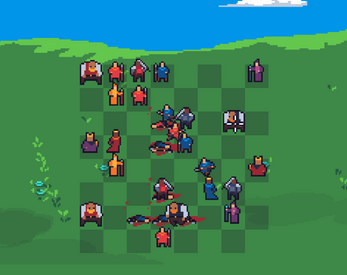 Units would move forward a bit and then snap back to the previous tile, so I couldn't do anything with them. Also the game window was so large that I had to fullscreen my browser to just barely fit it, despite the fact that it's a 1366x768 display. Could just be something up with my browser (Firefox 60), but I can't say for sure. Oh, wow, thanks. I'll give it a go later, then. Sorry that I took so long to reply. I tried it on a mac with FF 60, also tried it with your resolution of 1366 x 768, no sign of the issue. It might be a race condition or logic error leftover from story mode using click to go through the dialogues, in which case 'quick game' mode should work after refreshing the page. Ah, no joy I'm afraid. I tried a couple of browsers but, honestly, it's most likely my computer being outdated. It's telling that I picked up a book while booting it up. Windows 7 is pretty old by now. Thanks anyway for trying, it is a neat game. 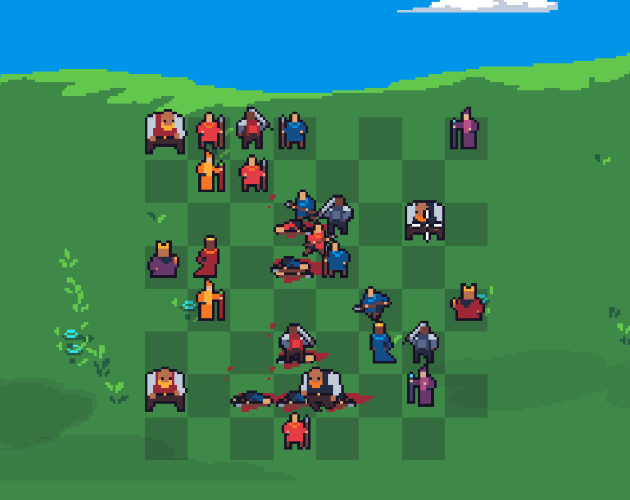 First of all, congratulations to make such a neat and sweet looking chess game in Java - the pixel art is really great and the whole gaming experience itself felt pretty polished. The little 'campaign scenes' were also a nice addition. :) Gladly I included your game in one of our compilation articles about the Ludum Dare 41 as well as in the corresponding gameplay video. <3 Good luck with the ratings! Thanks! I really appreciate the feedback. It's great to be featured in you article along with those amazing games.